Keeping up with the theme of simplicity, the BW-AS1 only has four buttons on top. Kickstarter crowdfunding campaigns generally don't end well. 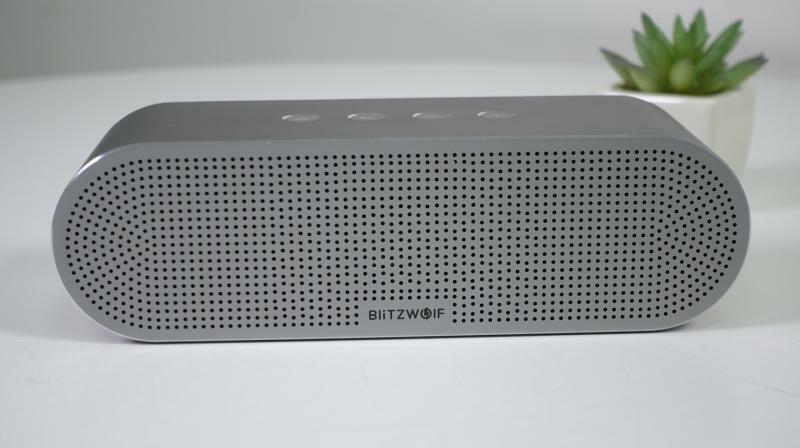 So when a Hong Kong-based company BlitzWolf promised an elegant wireless speaker on a budget, many were sceptical of this claim. Now that the company not only raised the money but also readied the product on time, let us see if BlitzWolf has delivered on its promise. The BlitzWolf BW-AS1 is made of a solid block of anodised aluminium. Little wonder then, it is incredibly sturdy. What's even better is the elegant design. The speaker makes no attempt to seek your attention with its minimal design. However, the speaker begins to grow on you with its build precision. The curved sides and chiselled outlines flow perfectly well. In fact, it feels right at home when placed near a MacBook. Keeping up with the theme of simplicity, the BW-AS1 only has four buttons on top. That's about the right number, as too many controls become overwhelming at times. At the rear, you have notches for micro USB port and 3.5 mm audio jack. 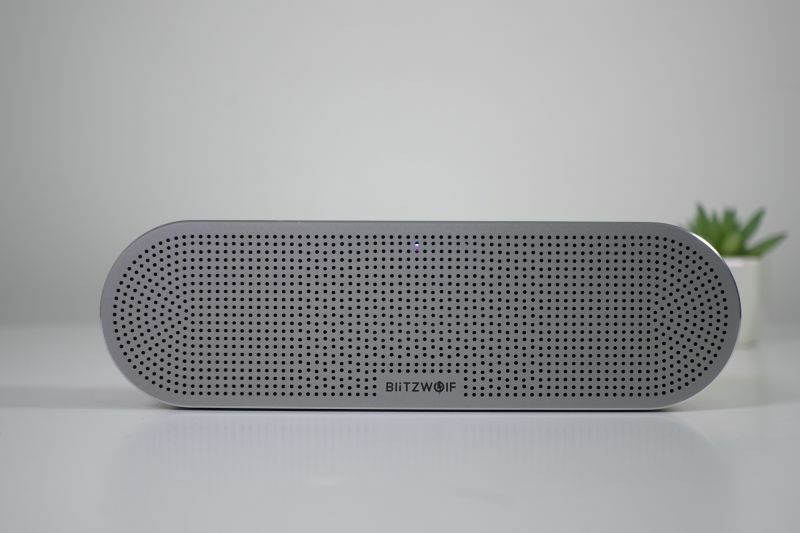 The BW-AS1 is an indoor speaker, so it is not very compact. And at 748 grams, it is not lightweight either. But then, I don't mind the heft as it is mainly due to the high-quality metal components. 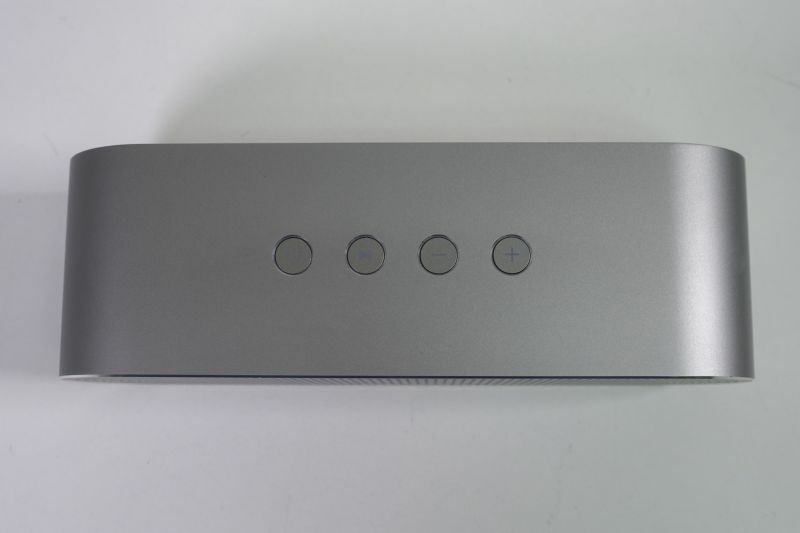 The speaker supports Bluetooth 4.2, which is known for going easy on the battery. You can also hook it up to devices using a 3.5 mm AUX jack. The BW-AS1 can also be used for conference calls. The four buttons on the top have multiple functions. The Play / Pause button doubles up as a call receiver. The volume up and down buttons can be used for going to a previous or next track. The BW-AS1 packs in two 10W drivers. The setup produces enough sound to fill a large room. The speaker does a great job at producing. The best part is that even with volume set to very high, there's no sign of distortion. The speaker's strength lies producing highs and mids. Annie's Song by John Denver sounds great on the speaker. The passive diaphragm enhances the bass to a certain extent. However, as a fan of rock music from the 80s, I would have liked the bass to be punchier. Perhaps, BlitzWolf should add a separate bass boost toggle to let the users choose their preference. The speaker lacks water and dust resistance. While this is not something to brag about, there's definitely a silver lining to it. With no protective’s measures in place, the speaker produces clear sound as opposed to the muffled audio on some waterproof devices. The BW-AS1 has a 5200 mAh battery. It takes almost four hours to fully charge the battery, which is a bit annoying. However, once fully charged, the device offers eight hours of music playback. BlitzWolf BW-AS1 is priced at Rs 4,528 on Bangood.com. For that price, its sound quality is quite good. 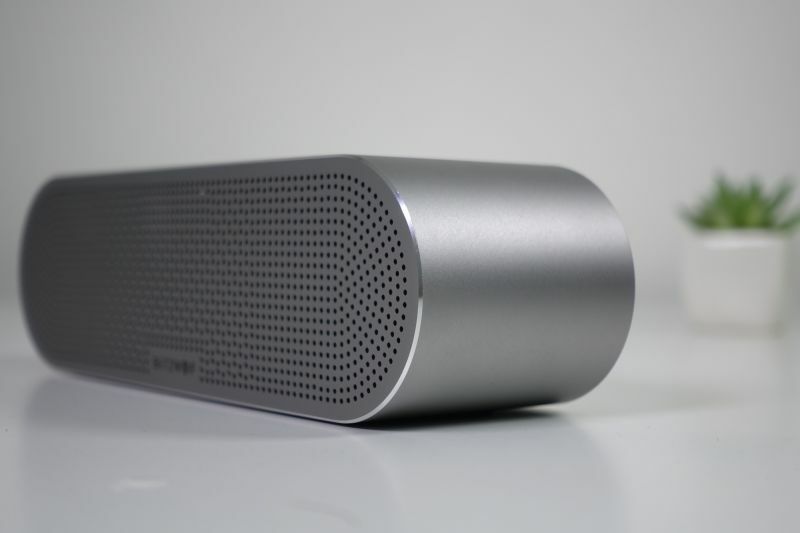 And it is one of the best-looking wireless speakers in the market. It does lose out on features such as water resistance, NFC, and microSD card playback. 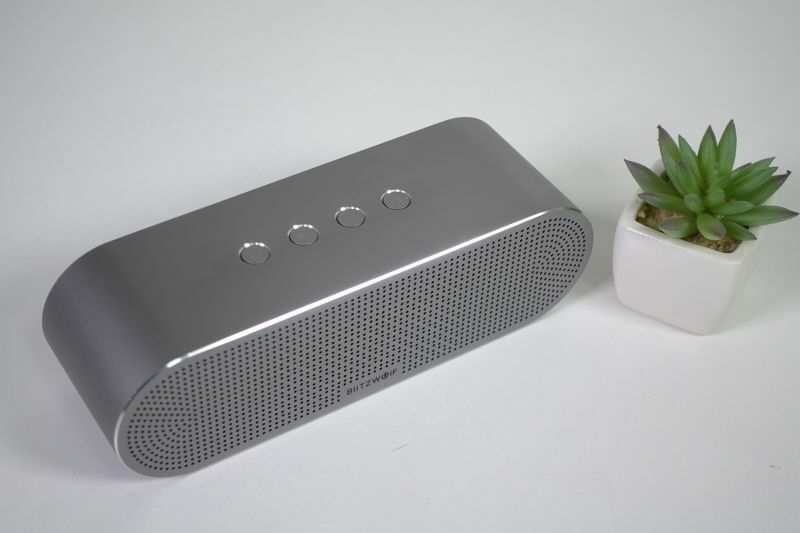 However, if you are looking for a no-nonsense Bluetooth speaker with good battery life, the BW-AS1 won't disappoint you. Elegant design; Sturdy build quality; Good sound quality; Aggressive pricing. Lacks water resistance; Could have had more features.